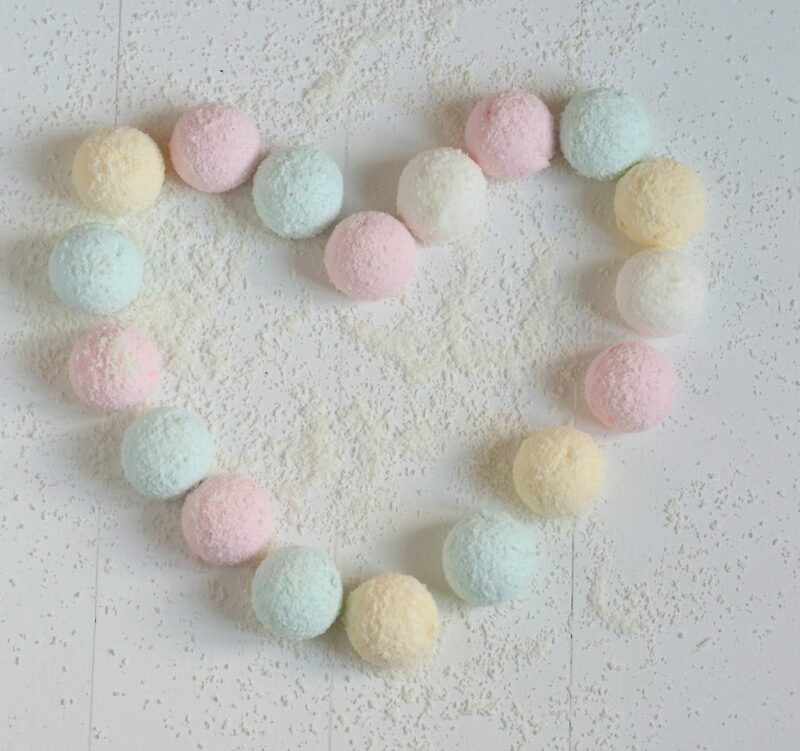 When it comes to Candy there is two candy I love the most salt licorice candy and marshmallows; my favorite marshmallow is homemade and is rolled into shredded coconut, the combination of coconut and marshmallow is just so fluffy and delicious. 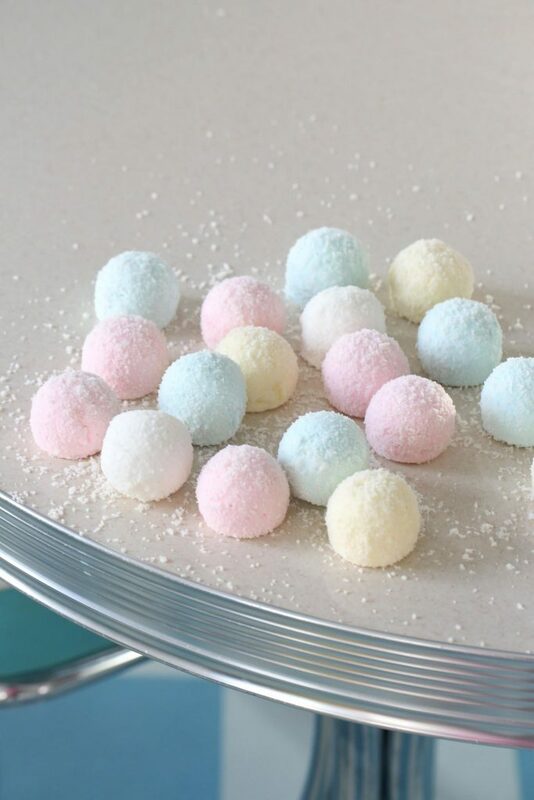 These are fun to make and so pretty for any party if you make them into pastel colors. And these are so yum, can´t you tell? In a medium saucepan, combine the sugar, ⅓ cup water, and half the corn syrup. Clip a candy thermometer to the saucepan and bring to a boil over high heat, continuously stir until sugar is dissolved. The syrup needs to reach 240°F (120°C), so keep an eye on it. Microwave gelatin mixture on high until completely melted, about 40 seconds. Start the mixer on low speed and gradually pour into the mixer bowl and leave the mixer running at low speed. 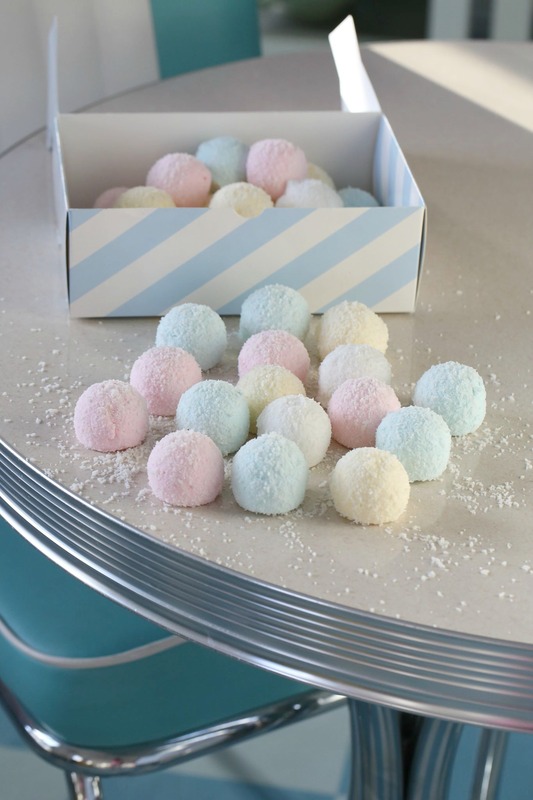 Prepare a piping bag fitted with a wide round nozzle # Wilton 1 A and set aside for now. Spray an X-Large Round silicon Mold with easy bake spray and set aside. Once the syrup reaches 240°F (120°C), gradually add the sugar syrup slowly to the mixer bowl and beat for one minute on low speed. Increase speed to medium-high and beat for about 5 minutes more. 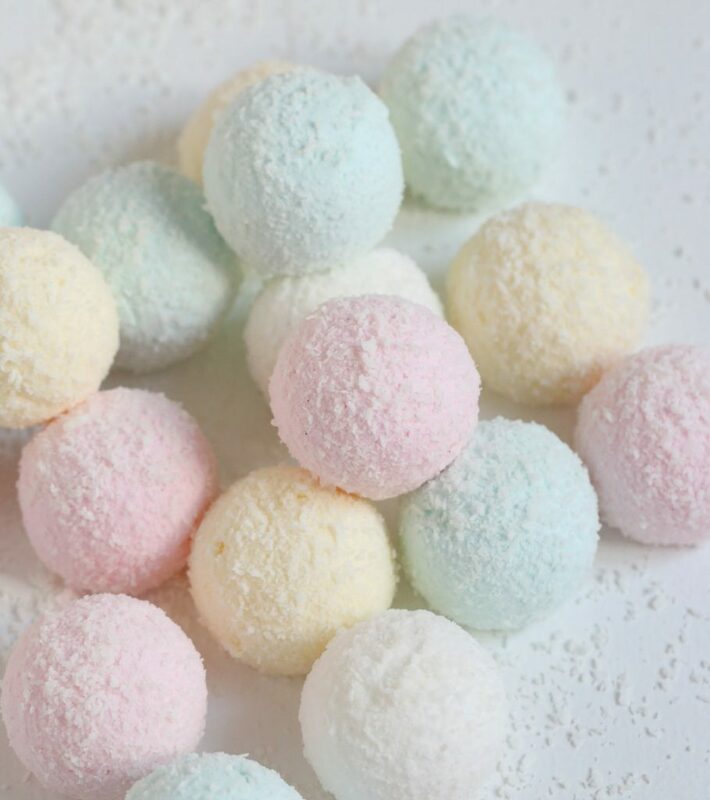 If you would like to have, pink colored marshmallows add a drop or two of pink food coloring, followed by vanilla bean paste, just mix until all is combined. The marshmallow mixture should have doubled, and almost tripled in volume. Pipe the marshmallow batter as quickly as possible onto the holes of the prepared silicon molds. If you like more colors, you need to make two more batches with different colors, and repeat the same thing. Dust the top with shredded Coconut coating. Let dry until set, about 30 -50 minutes. 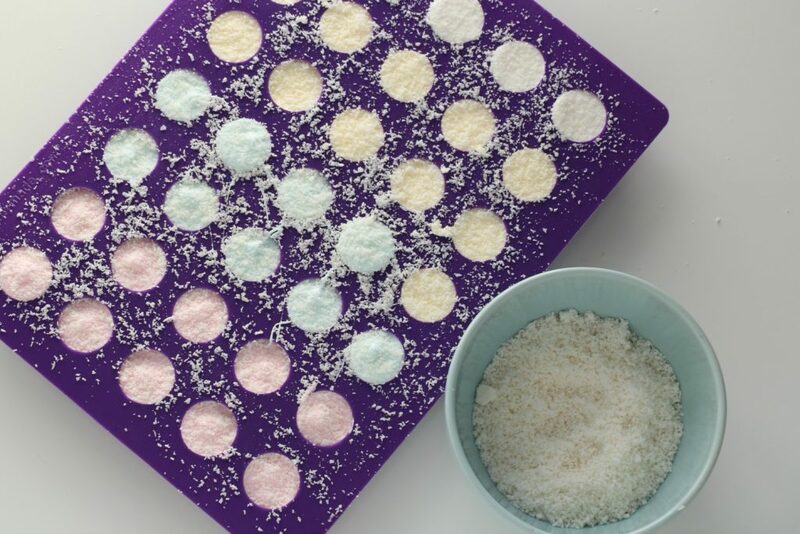 Pop out the marshmallow and roll each one in the shredded coconut, so they are completely coated. 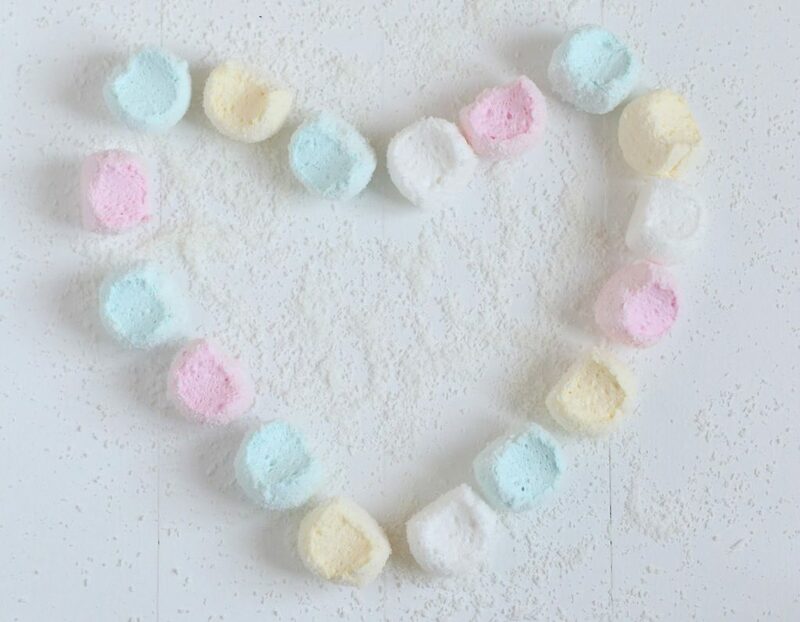 Leave the marshmallows on the table to dry for a few hours and enjoy! 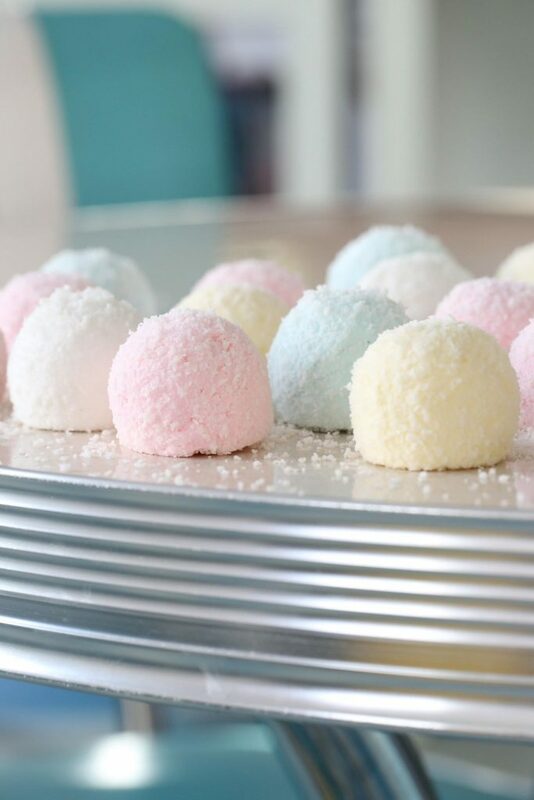 If you don’t know how to make these marshmallows there is a step by step instruction in the video below, the only difference is you roll them into shredded coconut, and leave out the caramel. If you like to know how to make Marshmallow Robes, watch this video below.